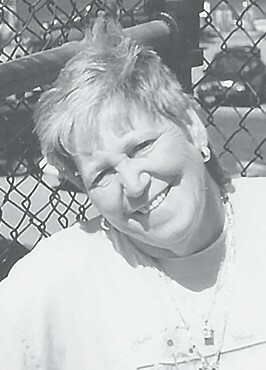 BONNIE CLARA KIRBY BOUSQUET, 73, of Rosa, Blount County, Alabama, passed peacefully at home surrounded by family on March 7, 2019. Bonnie “Mom” was such a caring soul! She loved her Boston Red Sox almost as much as her four sons, David Bousquet, who preceded her in death (Shout out to big brother. I know you came to walk Mom home. I love you! ); Scott Bousquet of Maine; Michael and Ann Bousquet of Kansas; Tim and Soncito Adams of Georgia. Mom had many interests and hobbies. She was an avid gardener and enjoyed watching and feeding the birds. She had many, many pets through the years, but none more special than her current two cats and Pete the dog. You can tell the strength of a person’s character by how they treat their pets and how the pets respond to them! Mom loved them and their loyalty to her speaks volumes. All of these interests pale in comparison to the love she had for her grandchildren Brandon, Robert, Andrew, Scott, Gabrielle, and Jacob. Robert and Carmin blessed her with her wonderful great-grandbaby Benicio, whom she adored. Mom was married in Ringold, Ga., on May 22, 1963, to Albert Bousquet, who has preceded her in death. She was born in Blount County and attended Susan Moore schools. She is preceded in death also by her parents Marion Edgar Kirby and Edith C. Doty; her brother James “J.B.” Kirby, and sisters Shirley Jo Kirby Thomas and Mintora Kirby. Mom’s love of family knew no bounds and she loved you all. If I tried to list each of you, I would inadvertently miss someone, so take my word she loved all the Kirbys, Dotys, Johnsons, and Bousquets. I do want to personally thank her nephew Brad Kirby, my eyes and ears when I was many miles away. Mom thought of you as her fifth son. Thank you Brad! Mom had many friends who she enjoyed bantering with over breakfast at Double B’s; you were all her tribe. Mom wore her emotions on her sleeves, but she was also quick to lend a hand or offer a loan. She was a hard worker as a cook at many nursing homes over the years. She cooked for 80 residents with the same grace and dignity as if she was cooking at home for her family. Mom I know I speak for all who knew and loved you that you will be missed! Love you to the moon and back, much more and Mostest Momma, Momma we love you!